Swapsity is Canada's leading swapping community. Since its inception, our organization has been profiled in more than 90 prominent media outlets, such as Yahoo, CTV, BNN, CP24, Toronto Star and NOW's Ecoholic. Connect with us at media@swapsity.ca for commentary on bartering, swap meets, Collaborative Consumption, the Sharing Economy and, of course, anything Swapsity! Canadian Press asked Swapsity's founder for tips on what to do with unwanted holiday gifts. The story went viral across Canada, republished by Yahoo Finance, MSN Money, Google News, Huffington Post, CTV Edmonton, Vancouver Sun, The Windsor Star and the Winnipeg Free Press. The New Bartering Economy and Swapsity got a big feature article in Toronto Life's Money Issue. According to the writer, we're on the "cusp of a new wave of alternative financial thinking." Barter predates money by 3,000 years and, according to the Sun Life Financial blog, barter websites like Swapsity are setting it up for a comeback! Green Living Ottawa knows that it's not easy being green, but Swapsity makes it a little bit easier for swap savvy Canadians. Collaborative Consumption is the next big idea! 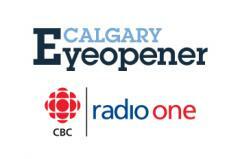 Listen to our interview with CBC Calgary where Swapsity's founder talks about the growing trend of swapping, sharing, and renting underutilized resources. Global News visited us at the Live Green Toronto Festival and shot some video interviews with our team and swappers who were enjoying a "very unique style of shopping." Metro News profiles the ambitious Canadian "Barter King", Martin Provost, and the latest trade in his swap-to-the-top adventure, valued at $12,000. CTV declares that "bartering is back and in a big way!" in this CTV news segment where you can witness an exchange between two Swapsity swappers and hear from founder, Marta Nowinska. Swapsity founder, Marta Nowinska, was featured in Sarah Lazarovic's Toronto-centric How T.O. series of slideshows. Here, Sarah gets Marta's expertise on How T.O. swap in the city. In a Marilyn Dennis Show segment on digital decluttering, tech expert Amber Mac, mentioned Swapsity as "a big one" among the new trend of swapping sites in Canada. She also touched on how swapping is great for the environment. Marta Nowinska, Swapsity founder, was interviewed by CTV's Chief Financial Commentator and the host of The Pattie Lovett-Reid Show. The CTV segment, about the alternative barter economy, featured Swapsity and highlighted how Canadians are swapping goods and services, without spending a dime. Collaborativeconsumption.com put the spotlight on Swapsity founder Marta Nowinska, featuring her in their Pioneers & Protagonists section, which profiles movers and shakers in the Collaborative Consumption movement. Follow the link to read Marta's 10-question interview. Out of more than 400 exhibitors at the Green Living Show, BlogTO chose Swapsity as one of their Top 5! The Toronto website ranked Swapsity among some of the most interesting and innovate things to see at the show. Swapsity's Movie Music Eco-Swap at the Green Living Show was the perfect destination to LP collectors, according to one blog devoted to all things vinyl. IDIGS gave a shout-out to the event, urging readers to improve their collections the eco-friendly way. Students can stretch their budgets and keep their debt at bay by switching to barter, according to the University of Windsor's student newspaper, The Lance. The article interviewed Marta Nowinska, Swapsity founder, and the Barter Babe, Shannon Simmons, about the benefits of barter. Swapping is the perfect alternative to spending when it comes to redecorating. That's what Now Toronto's Adria Vasil discovered. In an article on doing green decor on a budget, she pointed readers to Swapsity and some awesome trades to give your place a new look. Swapsity brought the frugal living to Rogers TV as a guest on Daytime. Our segment on the lifestyle show shared tips on how to spend less and still get what you need. Swapsity was interviewed by CBC radio's, Here and Now Toronto, in a segment on bartering as a way to cut down on spending. Toronto Star's Moneyville shared three ways readers can add barter to their budget. The article spotlighted Swapsity as venue for swapping online or through swap meets. In only a few days, news about Swapsity's initiatives, online and offline, went viral! MSN Money, Yahoo news, Metro news, Montreal's La Presse, Vancouver's The Tyee, Charlottetown's The Guardian, Saskatchewan's Weyburn Review, The Cornwall Daily, St John's The Weekend Telegram, Manitoba's Brandon Sun, The Prince Albert Daily Herald, and the Winnipeg Free Press, quoted Marta Nowinska (Swapsity Founder) on how bartering helps swappers cut out clutter, expenses and waste. 'Tis the season to be swapping, according to SEE Change Magazine. The social enterprise and entrepreneurship magazine encouraged readers to get their feet wet in the barter movement by attending a swap meet and shared Swapsity's swap meet successes and social impact as an example. In their coverage of Swapsity's Buy Nothing, Swap Something Day event, The Grid put the spotlight on our guest speaker, the Barter Babe Shannon Simmons, just in time for the kick-off of her regular column on Swapsity. Toronto-based blog, the Torontoist, attended our Buy Nothing, Swap Something Day event at U of T and wrote a full profile on the event, our mission and the benefits of barter. Gail Vaz-Oxlade can typically be seen helping couples reign in their spending habits on television's Til Debt Do Us Part. In an article for Moneysense.ca, she talks about using barter to get what you need and mentions Swapsity.ca as an online swapping destination. UofT student newspaper, The Strand, reported on how UofT's Arts and Science Students' Union is bringing back barter with the help of Swapsity. What's the value of an unused gift card? The Toronto Star gave an in depth look at how Swapsity is giving value back to unused gift cards. When we barter, our wallets are much bigger that we think. Swapsity's September 25 media swap in Kensington Market made headlines on Suite101, thanks to writer Naomi Szeben. She encouraged readers to trade their pre-loved movies and music during Pedestrian Sunday in the Toronto neighbourhood. Shareable, a non-profit online magazine and community focused on sharing, put the spotlight on Swapsity's Movie Music Eco-Swap and turned to us to give their readers advice on throwing a swap event. EcoSalon took a look at environmental pragmatism throughout Canada, including Swapsity's Movie Music Eco Swap at the Live Green Toronto Festival. The conscious culture and fashion web site listed it as one of the ways the country is embracing recycling. Non-profits can reap amazing benefits by turning to a community like Swapsity, according to OptBlog. The blog, which is run by Toronto-based social media agency Opt, took notice of Word11's partnership with Swapsity and encourages other organizations to follow suit. Yahoo News Canada picked up Metro Toronto's mention of Swapsity's movie music eco-swap at the Live Green Toronto Festival. Metro Toronto caught wind of Swapsity's efforts to save thousands of media items from landfills at the Live Green Toronto Festival. 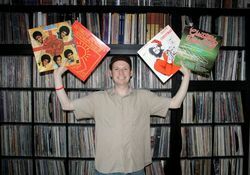 The daily news site highlighted the movie music eco-swap as a green way to add some new items to your media collection. A Metro Ottawa story on Swapsity member Martin Provost's swap quest was picked up by Yahoo News Canada. The national web site re-ran a story on how the Ottawa resident is bartering his way from a camera to a sports car. Swapsity member Martin Provost's swap mission made headlines on Metro Ottawa. Joe Lofaro featured Martin's plans to barter his way to a Tesla Roadster convertible. Earth Day Canada listed Swapsity as an eco-alternative to traditional shopping. Their article on buying named swapping as one of the best ways to lighten your environmental footprint and cut down on consumption. Swapsity member, Martin Provost, got the chance to spread the word about his barter quest on the CTV Ottawa evening news and Canada AM. The broadcast profiled his plans to trade his way from a camera to an eco-friendly convertible and highlighted Swapsity's part in helping to make his dreams a reality. Mesh, a sharing business network from California's Bay Area, put Swapsity in the #1 spot on their Hot Idea list. The list is a weekly selection of innovative services that catch the eye of the Mesh team. The spotlight was on Swapsity in a Financial Post feature on entrepreneurs. Marta Nowinska, Swapsity founder, shared her inspiration behind creating a one-stop bartering destination. Canada's largest resource for alternative healthcare information, naturalhealthcare.ca, gave a shout-out to Swapsity's Ultimate Fashion Swap Party in their new monthly Toronto newsletter. The inaugural issue, which also named Swapsity this month's featured business, pointed readers to the Nov. 6 eco-friendly, money-saving event. 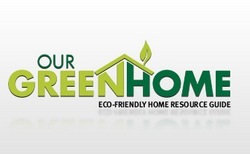 Ourgreenhome.ca knows swapping is a great way to reduce your carbon footprint this Halloween. Writer Alixandra Gould provided readers with some ways to stay green, including finding for the perfect costume at Swapsity's Halloween Swap. 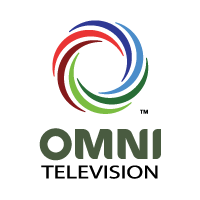 OMNI TV gave viewers some insight into the world of barter with a segment about Swapsity. Reporter Agnieszka Kiesz interviewed Swapsity founder Marta Nowinska for the piece, which focused on how the site--and swapping--works. 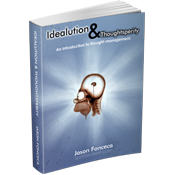 Read about cutting edge economical concepts like barter in Jason Fonceca's new book, Idealution and Thoughtsperity. His chapter, Abundance, makes mention of Swapsity's role in the comeback of trade. Recycling your unwanted items is one of the key steps in getting tidy, according to Karen Hawthorne, who penned eight tips to get tidy in the article Make a Clean Sweep for SheKnows Canada. She suggested those looking to get organized swap those items on Swapsity. Bartering is a great way to pay for your wedding day, according to the Globe & Mail. Angela Self wrote about cutting costs for the big day and directed readers to Swapsity for wedding-related trade possibilities. ParentCentral is encouraging readers to use Swapsity to trade unwanted children's items. Calling Swapsity "one of the most popular Canadian swap sites", they reminded parents that bartering is a great way to to recycle items kids no longer need while acquiring new stuff they do need. Read about it here. Eco-friendly initiative simplegreenaction.ca gave its readers an introduction to Swapsity in an article that called the clothing swap "one of the most environmentally-friendly methods to get rid of and acquire new clothes". Take a look at what they had to say about both the benefits of barter and Swapsity. Swapsity got a mention in NOW Magazine's Earth Day issue. Adria Vasil gave readers some pointers on getting their activist groove on in her Ecoholic Column, suggesting they barter their unwanted items instead of sending them to the curb. Yonge Street Media shed the spotlight on Swapsity's benefit of trading labour for goods in a tough economy. Read the article in their Innovation and Job News section. Swapsity is an "ecovore's haven", according to EcocentricGuide. The green website raved about the eco-friendly and money-saving benefits of barter. CTV Ottawa's Tech Now loved Swapsity enough to make it their website of the week! Swapsity made for a full page feature in The Toronto Sun Green Planet section. The newspaper gave its readers all the details on getting a swap started. Amber Mac, the host of CP24's tech show Webnation, invited Swapsity's Founder, Marta Nowinska, to her show to talk about the site. Swapsity made its debut on CBC's French-language radio morning program Le Cafe Show. Our member, Emanuelle Blais, was interviewed about her experience bartering on Swapsity, where she puts her skills as a French tutor up for trade. SavvyMom saw Swapsity as a fabulous way to get into the green spirit and get on top of spring cleaning, so they graciously included us in their Savvy Guide to April. Tech-savvy Calgarians are being encouraged to turn their clutter into something they need as Swapsity got a mention in the newspaper's Around The House section. The Ottawa Citizen gave its readers the rundown on Swapsity with a lengthy article in its business section. Now, Canada's capital has the details on how to bid, barter or swap. Once is nice, twice is even nicer. The Toronto Star's Vicky Sanderson writes about Swapsity again to announce our public beta launch, calling us "a boon for budget-conscious Canadians." Bargain Moose recently shared Swapsity with her readers. The money-saving blogger provided her fans with all the details to get started swapping. Swapsity is putting a modern spin on an old practice, according to Suite 101. The online magazine highlights how convenient it is to swap goods online, pointing out that easy access to the Internet means chances to trade while waiting for the bus or at work. With spring cleaning season upon us, BlogTO is putting the spotlight on Swapsity as a way to avoid throwing unwanted items to the curb. Plus, they've recognized the need for a website that blends traditional classified with bartering. Columnist Jessica Ross is already on board with bartering. In her Eco Logic column about Swapsity, Jessica offered up a one-year subscription to Homemakers magazine and a Homemakers tote bag in exchange for plant pots! To help readers incorporate eco-friendly practices into their daily lives, Greenr deemed Swapsity to be a "barterer's paradise" where members can satisfy their inner consumer without negatively impacting the planet. Please Mum shared Swapsity with their readers as a great way for parents to purge their unneeded kids' things, get the things they want. It's green, convenient and so addictive! Prompted by the surge in barter during tough economic times, The Toronto Star, Trends reported on the growing popularity of barter among Canadian consumers using Swapsity and various B2B barter exchanges. Chatelaine Magazine put out its 2010 Money Guide, filled with tons of great money management tips. One of their money secrets? Using Swapsity to barter for everything you need without spending one red cent. BNN ran a story about the resurgent popularity of business and consumer barter in Canada. With the economic downturn, barter is picking up steam and proving very attractive to many Canadians. BNN featured Swapsity in its report as an example of the rising trend. To encourage their readers to live lean and green, Granville magazine recommended embracing swapping through Swapsity, just like you did when you were a kid. After saving $2,500 by bartering on Swapsity during the Christmas season, it didn't take the founder of Canadian Financial Freedom too long to spread the word. She continues to be an example of a savvy swapper with a great attitude and a long list of swap items. Swaps are a great way to have an affordable, green Halloween and The Toronto Star couldn't agree more. This was one of our earliest media mentions, aknowleding the hot trend of consumer barter. In January 2009, the David Suzuki Newsletter saw the resurgent barter trend and deemed it hotter than the currency economy, especially within a local community. They named Swapsity among a list of swapping sites that support and cultivate local barter.